Hair plays a significant role in an individual’s personality. What type of hair style do you love? There are many hair styling tips and therefore in this article we discusses about them. The style which is preferred by celebrates is mostly followed by peoples. Most of the professional’s stylist reveled that hair style is responsible for changing the personality of any individuals. Today everyone follows the fashion trend whether in cloths, makeup, and hairs style. In the process of hair styling you have to pay full attention on your hairs because hair style can also damage your hairs. Before hair styling you has to know some important tips and which are mentioned in this article by which you can get good hair style as well as strong and healthy hair. In the environment of beauty, there are infinite tips as well as advices to maintain your wonderful look. We are telling you all the tricks from hairstylist, dermatologist, skincare gurus and others. Here we described the tips which are very beneficial when you have given a new hair style to your hairs. It is also noticeable that over shampooing is responsible for the death of your valuable tresses. This is one most important point to note that hair can be dry with the help of hair dryer as well as you have also an alternative that covering your hair in a towel after getting bath or shower. If you have color your hairs then it is very important to give nourishment to the hairs. Therefore conditioning or say weekly conditioning is very necessary. Conditioning helps to treat dryness as well as nutrition to the hairs. Hydrated hair plays an essential role to keep color stay on longer time and also become strong. Flat iron is used only on a dry hair. It should be noticeable that the heat setting is always medium or low and not more than that. Excessive heat is responsible to damage your hairs, therefore when you are using curly iron then only apply this for a one second or two. In market there are many hair styling products are available but you have to use only a long lasting products. Before you start to comb for style your hairs then smear the product. It prevents from breaking of hairs as well as hair loss for over time. If you are following the Celebes look then it is advisable that the trends are not suitable for everyone. Because some hair styles look great on celebs also not on everyone therefore try to give a style to your own look and stay true with it. 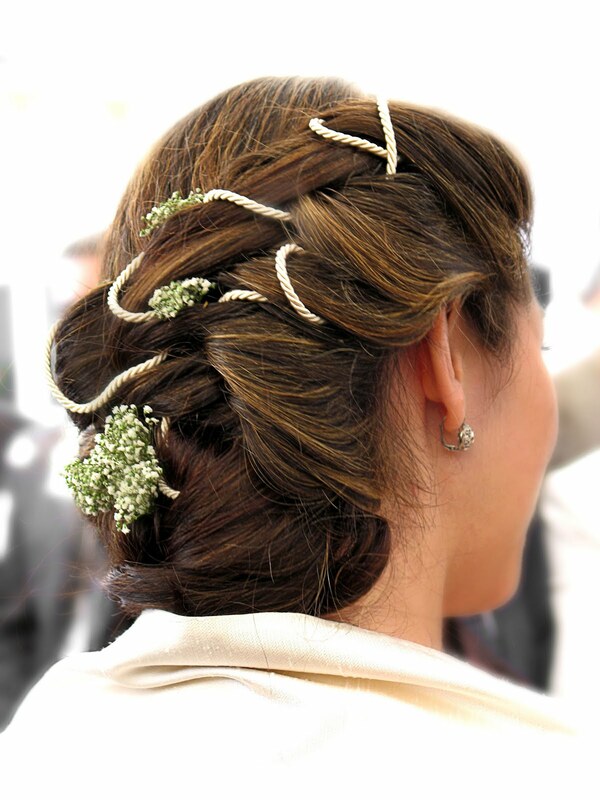 All women and girls love the different types of hair accessories available in the market. But it is important that continuous use of braids, hair extensions, ponytails and cornrows are not good for hairs. These kinds of hairs are very much pulls and push on the hair leads into tensions and it is also responsible to breakage of hairs. Stable hair loss can develop in the condition of tension. In hair styling coloring is the best option; it is responsible for creating the impression of a thicker head of hair. In coloring the dye pigments briefly volumize the hair tube through fascinating oil and closing the cuticle. Lowlight as well as highlight dimension is used that depends on your choice. Also use of uniform color makes hairs look even, thin as well as drab. Highlight dimension gives simmering attraction to the surface of the hairs and lowlight gives shadow inspiring depth. To increase the bulk of your hairs one thing is important that avoid sticky hairspray and fix your style with a starch-based dry shampoo. Choose only that shampoo which destroys slippery sebum and gives a growth to the hairs right at the roots. The hair styling products are comprised of silicones as well as heavy waxes which give a dull look to your hairs and it looks more unenergetic. Dietary deficiency of iron, zinc, B12 is the main cause of thinning the hairs. When use wax to comb and other gel for giving a smooth look to your hairs then maintain some heights at the top as well as the sides actually tight. Overworking is not good, because too many products, too much heat styling, and too much time spent perfecting your hair in the mirror results into hair loss. One tip is that use a wax scrubbed energetically among the hands and an exchange is calling the arcade claw: Settle the fingertips into the hair in a turn creation then touch the fingers collected and twitch hair up over the ends. Strong hair is very important to acquire different hair styles. Hair should be durable from externally as well as internally. You have to involve the super food in your diet to make the strong food. Super foods such as walnut, berries, and flaxseed help your hair to shine from inside out. So if you want to healthy hair then prepare a healthy diet. According to season change your hair routine as you care your skin in different whether. Because the weather is also affect your skin as well as your hair. In summer you have to use lighter products which are applied on dry and wet hair to increase and describe natural curls as well as shining and growth. It gives a perfect amount of light control to the soft waves. Only use a silk pillow or towel to dry your hairs. Also bind your hairs in a silk scarf before going to bed. By using this method you will get good looking hairs every time. The main reason for this is the silk is very calm on the hair cuticles prevent it from getting rough. Also protects hair fibers and gives smoothness to the hair. Do not give a floppy look to your hairs because there will be the chances for getting down. We are giving the solution for a messy texture in minutes. Apply dry hair with a saltwater seaside spray and making two-inch-wide ponytails on your head with the help of clips or rubbers. Take a flat iron and use it on the braid, then open the plates, flip your head upside down, and finger-comb from root to tip. Finish with a shot of imperceptible dry shampoo, which scrubbers up any extra oil so your style halts sparkling all day long. So, these are hair style tips for making new hair styles. I hope you find this article informative as well as beneficial for you so use this and apply a good hair style.